Little Girls Dresses, Australia. Clothes from Arabella and Rose. Little girls dresses are so special and, at Arabella and Rose, we think little girls clothes should be special every day. Little girls dresses are so special and, at Arabella and Rose, we think little girls clothes should be special every day. That’s why our range is not only gorgeous; it’s also affordable, so your little angels dress up Monday to Sunday. Let her dance and prance. When she wants to decorate your life just by being herself, let her dress the part. 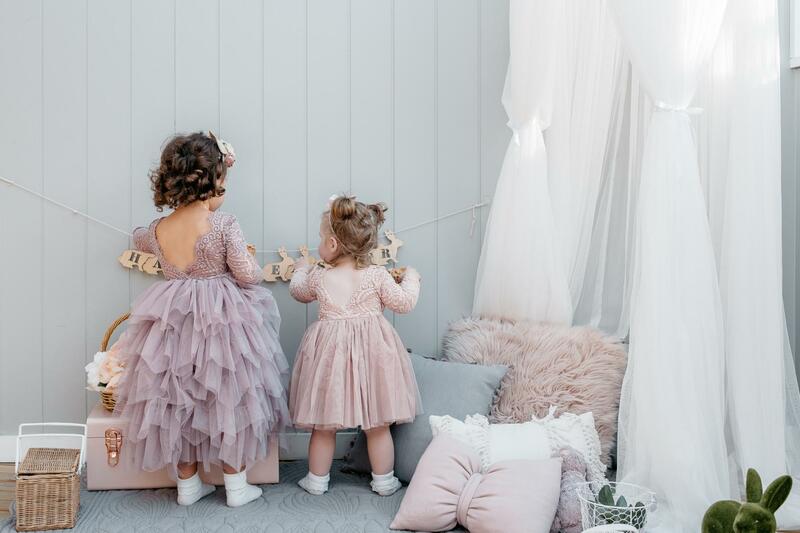 Whether she’s part of the big day and needs a flower girl dress or she’s seizing the day as a fairy princess, every day can be just that little bit prettier with little girls clothes from Arabella and Rose. Feminine, fun and flouncy. Get lost in a pretty, sparkly world of girls lace dresses, sweet swimwear, too-cute tees and must-have accessories. Come join in the fun of girls fashion from Arabella and Rose. Your world will never look the same again.